i've been trying to tone down my sneaker fascination as of late. 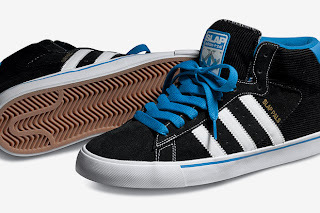 although that is the case, i am really feelin these adidas skateboarding kicks. classic style, that even tight panters can rock. gotta give it to the 3 stripes, their attack on the skateboard world looks good so far.